Unlike the disasters the water tsunamis make, the one I am referring to is not bad news, just busy news. Here's what I mean. Spring: I am doing two weddings: one for Chariti Law and one for Tyler Dulaney. These are both precious young ladies that I've known since they were kids They both grew up with our girls so they are like my 3rd … and 4th daughters! June/July – Camp Whatever counselor. I think Chris, David and Mel just ask me along so I can keep in touch with what it used to be like to be young! Actually, it is always an incredible time worshiping, encouraging, teaching and yes, counseling these kids. July – Denver, CO -Selma and I are speaking at what is called the "International English Consultants Seminar". (Are you impressed, yet?) I think this is a group who distributes books world-wide. We spoke to them on Extraordinary Marriage 3-4 years ago. This time it's The Parent Adventure. July – LifePoint's Marriage Cruise to the Caribbean. This is a wonderful opportunity for marriage enrichment. We meet as a group each morning. Then, you can be on your own as a couple or spend time with other couples. It worked out great last year. NOTE: There is still availability if you are interested. Call Sabrina at just Cruisin' Plus for more info (833.0922, ext. 303). September will find us leading Real Marriage at our church along with Selma and me hosting a one-day marriage conference called Marriage Design in Scottsdale, AZ. October I will be back in TX for the LifeWay National Kids Conference. There are actually a few more states and events but you get the picture. Just look at the myriad of places, locations and topics we'll be doing. Oh and by the way, I still plan to do some work counseling and teaching at Lifepoint Church while Selma plans to continue as Associate VP at LifeWay, too! Please do not let this come across as boasting, except in the Lord for His providing such opportunities for us. And for a wonderful church and LifeWay that support us in these "outside" activities. Consider this listing as an "advance prayer concern" offering to you: for travel safety, strength, wisdom in preparing, and for articulation & confidence in delivery and any follow up counseling that may arise. We cannot do any of these alone. As Christ said in John 15: "Apart from me you can do nothing." That ought to keep any of us humble. It certainly does the trick for us. So please pray for us as this year unfolds. 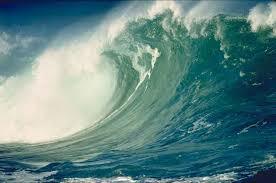 So thanks for letting me "vent" the tsunami of events coming our way. As always, let me know what is going on with you that we can pray about.